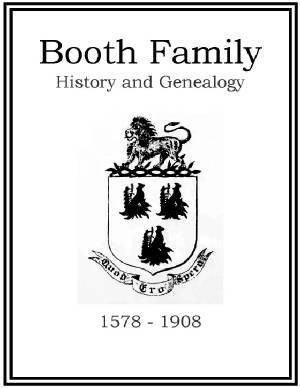 The following families have genealogy eBooks on this page: Bloss, Booth, Bowman, Breck, Butler, Chapin, Cleveland, Dutton, Hart, Ludwig, Oliver, Preston, Reynolds, Stockton, Smith-Baker 1789, and Ward. Bloss Family History and Genealogy. PDF eBook English. 1.16 MB. 1887. 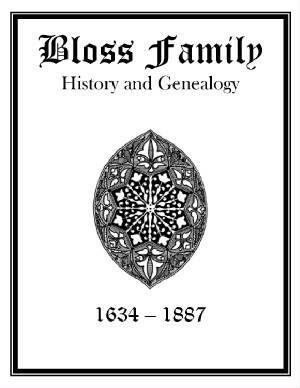 Bloss family genealogy dates back to 1634 and extends up to the year 1887. There are 9 generations listed with a three page index of family members and in-laws. Although only 18 pages in length this reference may feature a treasure of rare genealogical information not contained elsewhere! Price $6.95 USD. Bowman Family History and Genealogy. PDF eBook English 4.83 MB. 1912. The story of the descendants of Edward Bowman, of Amherst County, Virginia, some account of the Spencer’s of North Carolina, and the military records of the members of these families who served in the American Revolutionary War. Extracts from the census returns of Virginia and North Carolina, giving heads of the families from 1782 to 1810. Also, the story of Wendell Bowman of Switzerland, and the descriptions of the coats of arms and family crests of the Bowman’s of Great Britain and Ireland. Vital dates range from 1715 to 1904. A great link to the past! Price $6.95 USD. 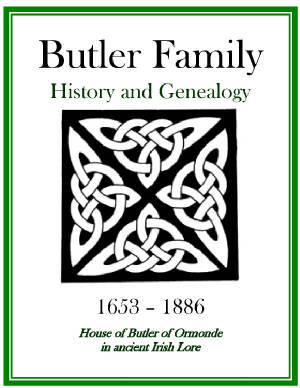 Butler Family History and Genealogy. PDF eBook English 1.69 MB. 1887. This well articulated reference unveils the fascinating legend of the House of Butler of Ormonde, which is well embedded in ancient Irish history. The more modern day account begins in 1653 from James Butler up to the Butler Family reunion held on Wednesday, June 9th of 1886, where a monument was dedicated to Deacon John Butler, the first settler of Pelham, New Hampshire. 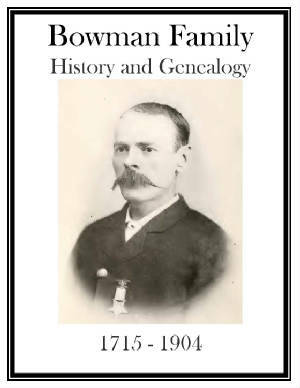 Poetry, and letters are included in this great link to Butler family history and genealogy! Price $6.95 USD. Chapin Family History and Genealogy. PDF eBook English 4.78 1862. Samuel Chapin arrived in the Massachusetts Bay Colony in 1636, and then settled in Springfield, Massachusetts, in 1642. His descendants grew into the hundreds. While the War Between the States was raging on, a Chapin reunion, or gathering, was held in the safety of Springfield on Wednesday, September 17th of 1862. 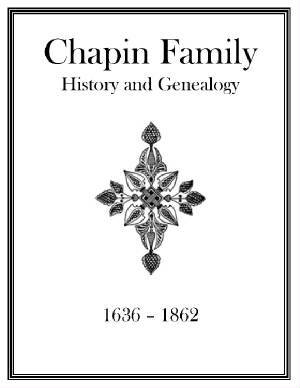 Here the Chapin family history was presented. This oratory, the family genealogy, letters, poetry, and the register of all who attended the reunion are compiled in this wonderful family resource! This is a great link to one of Americas great colonial families! Price $6.95 USD. 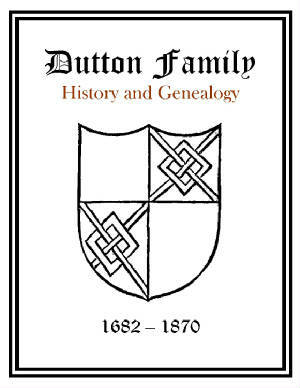 Dutton Family History and Genealogy. PDF eBook English 6.11 MB. 1871. 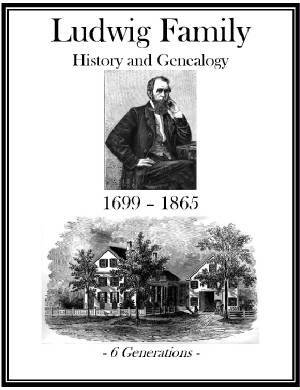 Covering the years from 1682 up to 1870 with 8 generations, this publication follows the descendants of John and Mary Dutton from Chester, Pennsylvania. It is preceded by a history of the family in England from the time of William The Conqueror to the year 1669. There is also an appendix containing a short account of the Dutton family in Connecticut. 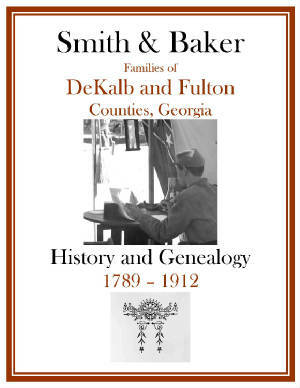 A must have for any Dutton family genealogist! Price $6.95 USD. Ludwig Family History and Genealogy. PDF eBook English 12.2 MB. 1866. The longevity of Ludwig’s with many living into their 90s, and up to 107 years old is discussed in this remarkable legacy, which covers the years from 1699 up to 1865. With 6 generations listed, poetry, and the original German passport from 1753, it provides vital dates and names of the descendants of Joseph Ludwig who was born in Germany in 1699, and settled at Broad Bay and Waldoboro in Northern New England. This is an essential resource for the Ludwig family genealogist! Price $6.95 USD. 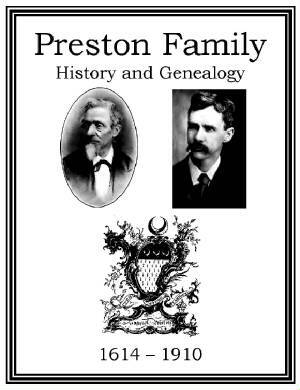 Preston Family History and Genealogy. PDF eBook English 1.77 MB 1913. Many rare ancestral photographs, extensive pedigree charts, the family Coat of Arms, 8 generations, and vital names and dates that range from 1614 up to 1910! Although only 33 pages in length, this great reference is packed with information that may extend your genealogy back several hundred years! Price $6.95 USD. Smith and Baker Family History and Genealogy 1789. PDF eBook English 1.89 MB 1912. In Franklin, Fulton, and DeKalb Counties, Georgia, we have a genealogy of this long standing patriotic Southern family. Descendants were captured and escaped from Native Americans, surrounded by howling wolves, and were founding fathers of the Decatur Orphans Home. The names of slaves purchased in 1839 and 1846 are provided, along with the account of captured Confederate family members going to Canada after the War Between the States. The 28 pages were hand typed on a manual Remington typewriter, and may be a unique source of the family’s history in this Southern region! A great link to the past! Price $6.95 USD. Booth Family History and Genealogy. PDF eBook English 1.06 MB. 1908. The forefathers of the Booth family extend far back into ancient lore to the time of William the Conqueror in 1066. This 900 year old family legend, and vital dates with names from 1578 up to 1908, are documented in this 19 page publication. Extraordinary information for anyone in the Booth kindred interested in family genealogy! Price $6.95 USD. Breck Family History and Genealogy. PDF eBook English. 14.3 MB. 1889. Edward Breck of Dorchester, England, immigrated to the American Colonies in 1635. His brothers also immigrated. Vital dates and names range from the year 1595 up to 1889, with 10 generations documented, a 29 page index, obituary notices, letters, and armorial bearings. 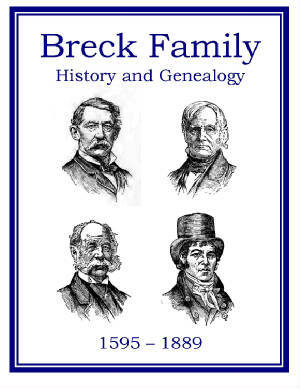 A wonderful resource for the Breck family genealogist! Price $6.95 USD. Cleveland Family History and Genealogy. PDF eBook English 18.1 MB. 1879. Truly a well articulated and extensive resource covering 9 generations with over 240 years. Vital names and dates extend from 1635 up to 1879 with poetry, and letters that bring the days of yesteryear and the forefathers back to life! 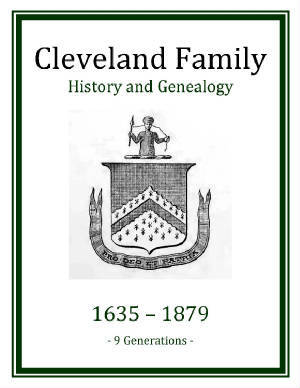 A source of abundant information for the Cleveland family genealogist! Price $6.95 USD. Hart Family History and Genealogy. PDF eBook English 7.89 MB. 1867. 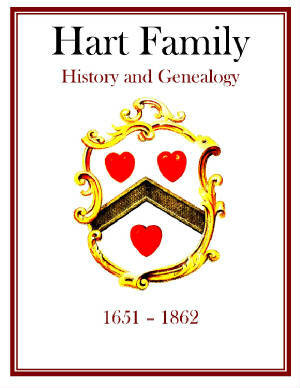 The time period ranges from 1651 to about 1862 covering over 210 years of Hart family genealogy. There are letters from the 1700’s, poetry, with names and dates. A close study of the pages is needed since 40% of the pages are very hard to read, or unreadable, having faded with time. Yet, there may be valuable information contained there in not found elsewhere. For this reason we are providing this reference at a special price in hopes it may be of value to the family genealogist. Price $6.95 $3.95 USD. 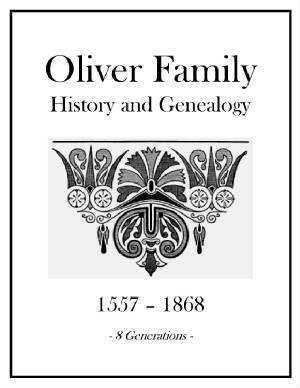 Oliver Family History and Genealogy. PDF eBook English 0.35 MB. 1868. A very early account of the Oliver family from Bristol, England, and those who migrated to Boston in New England. The pages are faded from time, but still very readable now that it’s preserved. There are 8 generations listed from 1557 to 1868, which are the descendants of Thomas Oliver. The publication is only 7 pages in length, yet may provide rare information to extend the genealogy back many decades! Price $6.95 USD. 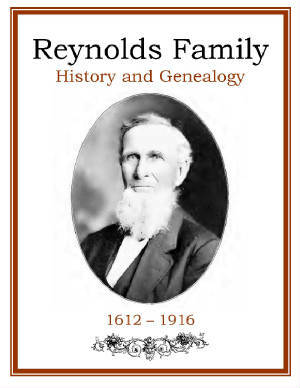 Reynolds Family History and Genealogy. PDF eBook English 6.19 MB. 1916. John Reynolds was born in England about 1612, and immigrated to Watertown, Massachusetts aboard the Elizabeth in 1633. Dates and numerous family members are compiled from 1612 and stretch up to 1916 with an interesting autobiography provided by Alvah Reynolds. There is also a chapter of heraldry extending back to the year 1327. A source of abundant information for the Reynolds family genealogist! Price $6.95 USD. Stockton Family History and Genealogy. PDF eBook English 17.8 MB. 1909. There are 4 generations in this delightful reference that span the years from 1635 through 1838. Although partially typed on an old Remington manual typewriter, the majority of the 41 pages are very carefully hand crafted family group sheets, which likely provide century’s old genealogy that just may not be found elsewhere. Other families included are those of Ridgway and Shinn. 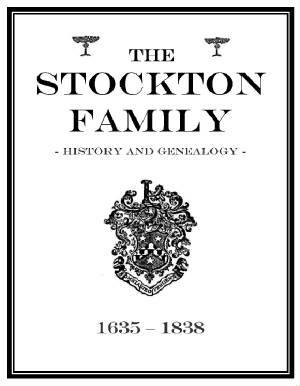 A wonderful resource for the Stockton family genealogist! Price $6.95 USD. 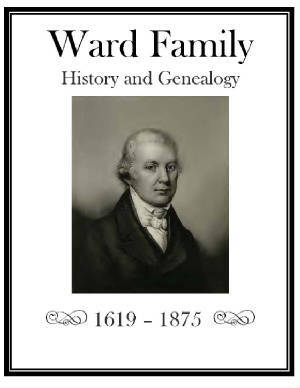 Ward Family History and Genealogy. PDF eBook English 1.0 MB 1875. The Ward family came from Gloucester, England about 1673 and settled in Newport, Rhode Island in the American Colonies. The name Ward or Warde is of Norman origin, and found on the ancient Roll of Battle Abbey in England. Memoirs of Lieutenant Colonel Samuel Ward are included with vital dates, and names of ancestors and descendants from 1619 to 1875. Only 20 pages in length, this great reference is packed with details that may include rare genealogical information not found elsewhere! Price $6.95 USD.